CARSON, Calif. — Bruce Arena is bullish on America: On MLS, on the development of young soccer players and on the future of the sport here. That was the main take-away from our interview on Thursday at the StubHub Center ahead of Sunday’s MLS Cup final between the LA Galaxy and the New England Revolution (3 p.m. ET, ESPN, UniMas). SI.com: For me, one of the most poignant moments of this year was when Landon Donovan announced his retirement and you got emotional describing your connection to him over the years. ​Arena: I don’t think it was describing my connection to him. It was just appreciating the fact this is an important time in his life and was something he needed to do. It was good to see a lot of that pressure that he’s placed on himself for years is coming to an end, and he’s able to enjoy himself and go out in the way he wants. He’s a guy that for years struggled a little bit with balancing everything. So it’s nice that it’s coming to an end in the way he wants it to come to an end. SI.com: I’ve seen a pretty deep connection that you’ve had with a lot of your players over the years. How would you describe the bond you’ve developed with Donovan? Arena: Oddly enough, I don’t think it’s that close. I think we respect each other. I’ve probably shared a lot more time with other players off the field than I have with Landon. We’ve been around each other a number of years in a work environment and still have a good relationship. We’re not hanging out together off the field, but it’s one of respect. It’s a relationship that’s been challenging at times, but in the end we both know each other are pretty good people. We mean to do the right things for each other. SI.com: You’ve coached Donovan longer than any other coach. What’s something you’ve learned about him that not many of us know? Arena: Well, at this point Landon has *made* everything known (smiles). But he’s sensitive. Let’s face it, he’s had a remarkable career. His numbers speak for themselves. Me being a full-time coach, I always think they could be better. He, being who he is as Landon, thinks they’re fine. He’s always looked for things outside the game. It’s been such an important part of his search for happiness over the last, I’d say probably eight years. He hasn’t been consumed with necessarily being the best player on Earth. SI.com: After the 2-2 tie with Seattle here in October, I remember you saying the farewell presentations for Donovan were starting to take a bit of a toll on the field. How are you dealing with that ahead of his last game in this final on Sunday? Arena: I think we’ve dealt with it since then. I think that whole thing was a circus act, the last two or three weeks. It probably served more of other people’s interest than Landon’s. It became overwhelming for Landon as well. It was tough. It wasn’t going to be easy anyway, but it was tough. And it impacted his ability to finish out the regular season as well as I would have liked, or he would have liked perhaps. But it is what it is. SI.com: New England became a different team with Jermaine Jones. What has he brought to them? How do you try and negate his influence? Arena: He’s a very competitive guy on a team that was pretty competitive. Then you get the leadership. I think there’s something to be said about guys that have a presence and how they can walk into a locker room and on the field with a team. He’s given them a confidence. From what I can see, the team certainly has rallied around him and respects him. I think for New England this is the first time they really stepped into these Designated Player waters. So it brought confidence to their team. We just have to play well, and if we play well that player doesn’t matter. It’s all about how we play. SI.com: How is managing in the playoffs, in a final, different from managing during the regular season? Arena: It’s different, because if you’re not successful you go home. My approach to all this is simply to position a team to advance. So we’ve never really worried about whether you lose or tie a game. It’s just knowing what the circumstances are in each and every round, and move forward. We did that. The first round in Salt Lake, it was remarkable that everyone thought a draw wasn’t good for us. And in the second round, 1-0 wasn’t good for us at home. And I’m thinking completely the opposite as all these experts are writing things. So I don’t know what the hell is going on? (Smiles). And the final is about making sure you’re ready to play on game day and not allowing your team to be distracted. Because that happens. You look at our team, they’ve just about all been there before. So that’s a real plus for us. SI.com: True or false: Robbie Keane has accomplished more in MLS than any other foreign Designated Player signing. Arena: The first Designated Player was [David] Beckham? So not the history of the league, but Designated Players? You could probably argue that’s correct. Beckham won two championships, Supporters Shield, all of that. SI.com: Yes. He didn’t win league MVP. Arena: Yes. So yes is the answer to that question [on Keane]. SI.com: Keane says MLS needs to get rid of artificial turf. Do you agree with him? Arena: Well, I agree with it, but we’re not going to get rid of it. It doesn’t look that way from what I can tell. It looks like we’re getting more rather than less [in Atlanta and potentially Minneapolis]. ​SI.com: Do you expect the new collective bargaining agreement to increase the number of Designated Player slots per team from the current three? SI.com: What are you expecting from the new CBA? Any type of free agency? Anything else as you put a team together? Arena: I haven’t been involved in the negotiations, and I don’t know what the union’s asking for. But certainly one would suspect they’re asking for free agency. That seems to be the norm for collective bargaining historically in leagues. Whether that happens or not, I don’t know. Obviously, economics are going to drive the collective bargaining. That’s not a secret to anybody. SI.com: How much do you expect the salary cap to go up? Arena: I don’t know. There are different ways. When it’s a hard cap, it’s one thing. But our cap is soft. So who knows what that means? It’s just simply a question about what they arrive on as to what the spend is. If it was a hard cap, it would be easy to give an answer. But right now most people don’t even know what we spend on players. SI.com: Just about everyone agrees that the training wheels are off now for MLS 19 years in. What do you think that should mean for what MLS teams are allowed to do? Arena: The training wheels are off? SI.com: Even Don Garber said that the other day in his State of the League address. But his idea of that may be different from yours. Arena: I don’t think the training wheels are off. I think it’s going to be a league that continues to have a hands-on approach to how we spend money until it becomes a more obvious successful financial model. I think the stadiums are still a remarkable quality that our league now has. That’s been a must. And if D.C. gets a stadium built and they build one in New York and here in L.A., then we’re really talking about doing things right, and it gives us a lot more flexibility and scheduling and other things. I think the future’s bright. SI.com: As part of that future, what would you like to see as clubs get a little more autonomy? Arena: Clubs have a lot of autonomy. They really do. You get to choose your own players. If you want to get Designated Players, you can. I’m sure the collective bargaining will give a little bit more freedom as well. But I think the notion that the league runs teams and tells you how you can spend and who’s on your team and who’s not is not accurate. However, at a local level you should have more freedom and responsibility in developing your roster. There’s still room to improve there. SI.com: How do you feel about the direction of youth development in MLS right now? Arena: Got a way to go, but I think the academies are beginning to shine. We have a good system here. The Galaxy II is a success. We still have to get better, but there are some teams in this league that are doing it right, of which I think we’re one of them. The interim step of having a third-division team in the USL is huge. And we’ll continue to improve our academies. You see all this construction around here, this is to improve our facilities for Galaxy II and the academy program. We’re going to improve our fields. We’re spending. Other teams are spending. We have a way to go, but the fact that foreign clubs are raiding our youth markets says we must be doing something right. Arena: And Europe. There are a lot of European clubs trying to get our players. SI.com: That’s the source of a bit of the back-and-forth between Don Garber and Jurgen Klinsmann recently. As you were observing that, what was your take on Don’s criticism of Jurgen and what he said about MLS? Arena: I think you welcome saying anything you want. Whether you’re right or wrong is subject to debate. I have no problem with Jurgen saying whatever he wants to say. Now if you want to challenge it, it’s fine. I think Don’s reaction was a bit over-the-top early, but I think Jurgen has the right to say what he wants. I don’t necessarily agree with it, but he has the freedom to say that. SI.com: Do you agree with Klinsmann? About one, whether [Michael] Bradley and [Clint] Dempsey coming back to MLS was good for their careers and their national team performance. Arena: Well, one, how would you know that? In that short period of time, it’s been all solved that it wasn’t good for them? Because of the World Cup? Arena: Michael was O.K. too. Michael was playing out of position. SI.com: And also concern in MLS that Klinsmann was steering promising young U.S. players to go to Europe. Arena: I don’t agree with that. I understand some of the thinking, and the belief that if you go there [to Europe] everything is going to be better, and your development will be more accelerated. We know from experience that European clubs are more experienced and have more resources than us. I don’t think they necessarily know anything more about soccer. I don’t think there’s any reason to believe that we can’t develop elite players here. And we should encourage our elite players to stay here, and we should have the resources to keep them here. We can develop players here. SI.com: You’re pretty bullish on America these days. Arena: This is the best environment in the world for coaching. And in the near future it’ll be an outstanding environment to develop young soccer players. I don’t have any question about that. SI.com: What beyond excellent facilities are you talking about when you talk about this being a great country for coaches? Arena: You have every sport in the world at every level, and all the resources and thinking of those people. And you can take from Mike Krzyzewski, from Joe Torre, from Bill Belichick. It goes on and on. We have hundreds if not thousands of elite coaches in this country. Coaching is coaching. No one in Europe knows anything more about soccer than we do. The drills we use are the same ones they use. SI.com: When you mention competition from European clubs for young U.S. prospects, any specific examples you’re dealing with? Arena: We’ve lost one of our elite players. He hasn’t signed with a club yet. He’s sitting in Germany. We had a young kid here, Haji Wright, who was our academy player who was strongly encouraged to go abroad. He’s arguably the top player in his age group in the country. He’s been sitting in Europe for six months now. SI.com: Because he’s not old enough yet. Arena: Right. We’ve lost players from our club to Tijuana [Paul Arriola]. There are Americans who go down and play in Mexico. Some will come back. It’s all part of it. But I understand Jurgen’s point of view. Jurgen only knows Europe. He doesn’t know the United States as well as he needs to. SI.com: He’s been here since ’98. Arena: He’s got to learn our culture and our system a little bit better. And help make it better. It’s part of his job. SI.com: Did the U.S. have a good World Cup? Arena: Yes. Because they advanced. SI.com: It’s a simple question, but I get a lot of different answers when I ask people. Arena: Right. But at this stage where we are as a country, advancing is still big. Our quality of play was nothing to brag about, but we did advance out of a difficult group. So you can’t label that as a poor World Cup. SI.com: You mentioned a new stadium coming here in L.A. — do you welcome another MLS team and stadium to L.A. in 2017? Or do you think it’s a questionable idea considering how Chivas USA went? Arena: I think it’ll be interesting. And if they do it right, I guess it’ll be good. For whatever reason, the Chivas USA thing never seemed like it had a chance of making it. SI.com: Even when Bob Bradley was coaching there? Arena: I wasn’t here during that time, so I didn’t see it firsthand. But you don’t need me to tell you it wasn’t a success. Why? I don’t know exactly. I don’t know if you can share a stadium with another team. But that’s been done around the world. Maybe we’re not ready for it in this market. I think the original concept of using Mexicans and Mexican-Americans was not a concept that made sense in this league. Since I’ve been here, all the guys who’ve coached [Chivas USA] I’ve found to be good people. I just think they didn’t have a consistent plan that made sense. But hopefully this new ownership comes in, and you get to start new and get things going. I think it’s not that hard in this league to start new. It’s hard to stay established. When you start in this league you get everything handed to you, a lot of resources and things like that. So you can come out of the gate pretty quick. I would sense that this time around the second team in L.A. is going to be a good team and be competition for us. SI.com: I always think of you as an East Coast guy, but you’ve been out here for six years now. Are you a West Coast guy now? Arena: I sure like the weather here. After being here six years, I have no interest in living on the East Coast anymore. I’m not planning on it. I still have an East Coast mentality, but I do like the weather here. SI.com: What does an East Coast mentality mean to you? Arena: I think you have a work ethic. You’re honest. You say what you think. 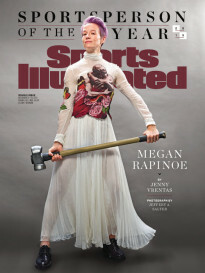 What I’ve found: Athletes and coaches are confident, arrogant people. That’s why they’re good at what they do. They’re elite people in their profession, so they have confidence. We often run into people that object to things we do and say, because they’ve never been in that environment and they have thin skin, and they can’t deal with criticism and all of that. And I find that kind of comical. Because my whole life I’ve been around tough people. And around tough people you say what you think. If you don’t agree, you tell them you don’t agree and that’s the way it is. Often, we see people who fall apart when they take a little criticism. I find that comical still to this day. And if you look at what happens on Capitol Hill every day, how tough those people are with the things they say. And then our people worry about the stupidest little things. They’d never survive on Capitol Hill. It’s brutal there. They go after each other. No holds barred. And those are the people running our country. SI.com: What is your life like out here? Arena: It’s pretty good. I get to see the Pacific Ocean every day. I have grandchildren living around the corner. I like the weather. I like the culture of L.A. I like basically everything here. It’s a great community. It’s obviously pretty diverse. Just a different way of life. People panic if there’s a weather report where it might rain, which happens three times a year. It happens every time the week of the MLS Cup final. It’s a different way of life for sure, but there are good people here. SI.com: There’s a report out on Cubo Torres on Goal.com that he only wants to be in MLS if he can join the Galaxy. Arena: I’ve not heard that. SI.com: Would you like to have him? Would AEG be willing to pay his $7 million buy-out number? Arena: He’s a Designated Player. SI.com: You’ll have a DP slot available in January. Arena: So it’s a question of whether that would be our Designated Player. We lose Landon Donovan, who you could argue is the greatest player in the history of our league. And I think the player we replace him with has gotta be upgrade quality. SI.com: Have you started working on that? SI.com: Do you know when you’ll make an announcement? Arena: It depends on the player we sign. But we think we have the potential of signing a very elite player. SI.com: Back to Donovan: In your opinion, where does he rank among U.S. players in history? Arena: I think that in anybody’s opinion he’s among the top five. I don’t know any of the guys from the 1950 World Cup team. There aren’t many you could put ahead of Landon, if there are any when you look at his whole body of work. There have been some good ones. But if you say Landon Donovan, you’re not far off from having the right answer. SI.com: Jozy Altidore sent a tweet to the Galaxy (since deleted) that said “no means no” and asked you stop contacting his agent. What was your reaction to that? Arena: My reaction is that knowing Jozy, that didn’t mean how it came across. Jozy’s a real good guy. I know Jozy very well. I think we both like each other. I don’t think that came across the right way. SI.com: How much longer do you want to coach this team? Arena: At least ‘til Sunday. SI.com: Are you going to do a surprise retirement thing if you win this? Arena: Winning or losing wouldn’t impact anything. SI.com: Are you planning a surprise retirement no matter the result? Arena: No, I doubt it. I’ll let Landon do that. That’s Landon’s day. SI.com: Last question. You said this country is the best in the world to be a coach. Half-seriously: My opinion is the U.S. could someday be the best place in the world for soccer media coverage. We get more games from around the world on TV than any other country. Our media standards are pretty high. Arena: We don’t cover the sport every day in this country. How could you say it’s the best? 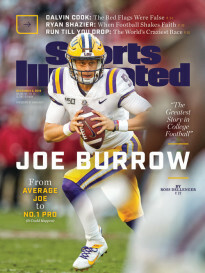 SI.com: The potential to be the best. Arena: Of course we have the potential to be the best. We have the potential to be the best in anything we do. But we need to have better coverage in this sport. Right now, listen, it depends on what your definition of the best is, I’m not sure having all these rag newspapers in England is necessarily… But they’re on the game 24 hours a day, seven days a week. SI.com: Where can we get better in the media covering soccer in this country? Arena: In my view, the L.A. Times should be covering the Galaxy a lot more. [Overall] it’s gotten a lot better. I thought NBC Sports was terrific in their coverage of the league. They did a great job, and we’re losing them. ESPN, they’re a partner of the league, I’d like to see them cover our league more on days we’re not playing — and giving us the same praise and criticism they do other sports. I don’t think we get enough of that. We don’t care if we’re criticized. It’s all part of it. That’s what we signed up for. Do it. If you think you should be critical, do it. This sport is made in this country. I really believe that. Now it’s a question of how much up the ladder we can push it. And it doesn’t necessarily have to be the NFL or NBA, but it’s growing, it’s getting there. We have our own niche of people, and we all know the way the demographics are moving in this country, it points more toward our sport than any other sport. SI.com: I didn’t used to think it was inevitable that soccer would get to that point, and I’m still not 100 percent convinced, but it’s a lot more likely than I would have said a few years ago. Arena: I told the story today to John Harkes on SiriusXM. When I was a kid growing up in New York, you could walk into Yankee Stadium or Madison Square Garden and buy a ticket and go see a game. They weren’t on television. The games were blacked out. Those leagues already had existed like 40 years. And we’re in Year 19. We’re way ahead of where the NBA was, major league baseball and the NFL. Way ahead of them. And nobody ever tells that story. And now we have much more competition than they would have had at the time. Our league is a fabulous story. We’ve been fighting the odds, greater odds than they ever fought. SI.com: Bruce the Optimist is a fun interview. Arena: I guess you could say that. I’ve always been optimistic.